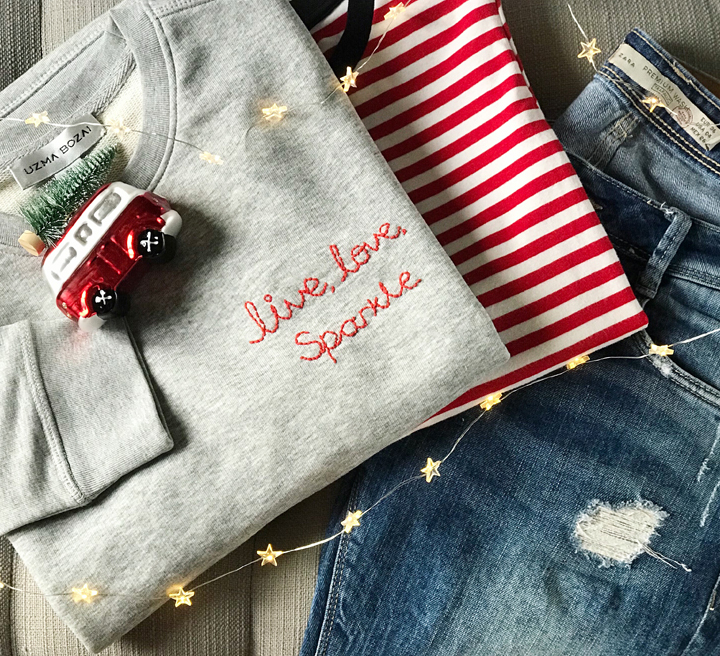 We love these 3 little words “Live, Love & Sparkle” this exclusive sweatshirt is designed by Sara AKA Wellies and Champagne with her #mummymantra. 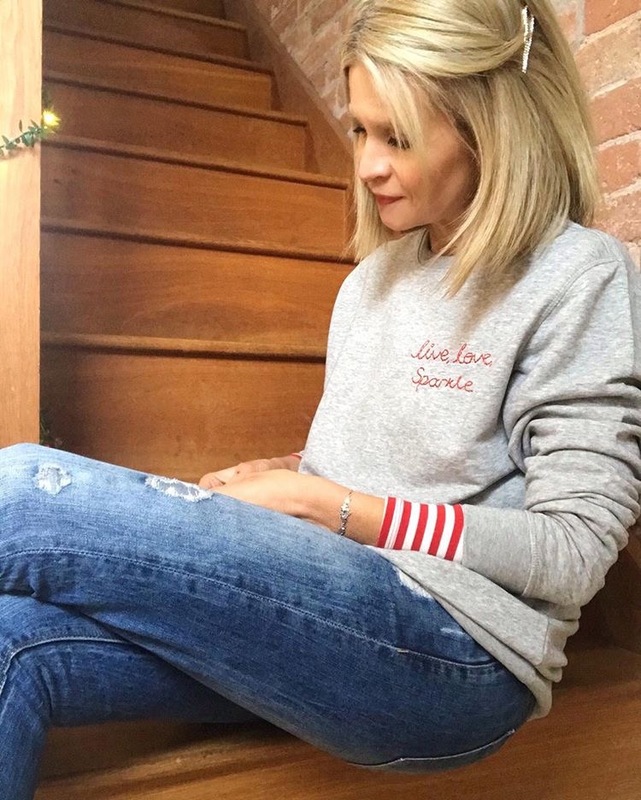 Shop Sara’s designed hand embroidered sweatshirt or Design your own Mummy Mantra sweatshirt with the words that inspire and uplift you on those days all mums have. 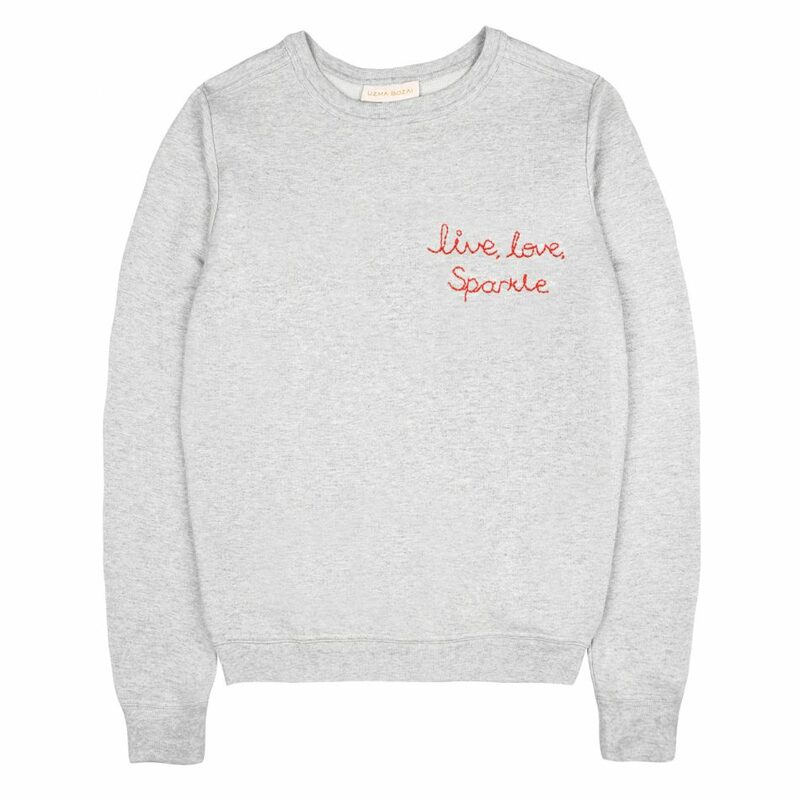 Add your own mantra to our incredibly soft and warm sweatshirt – we promise you will live it in! If you’d like something a little different – just get in touch and let us know what design you’d like and we’ll bring it to life. Also a fantastic gift for birthdays, anniversaries, christmas or any other special occasion, we can create a one off or a unique collection for you and your girlfriends or family. 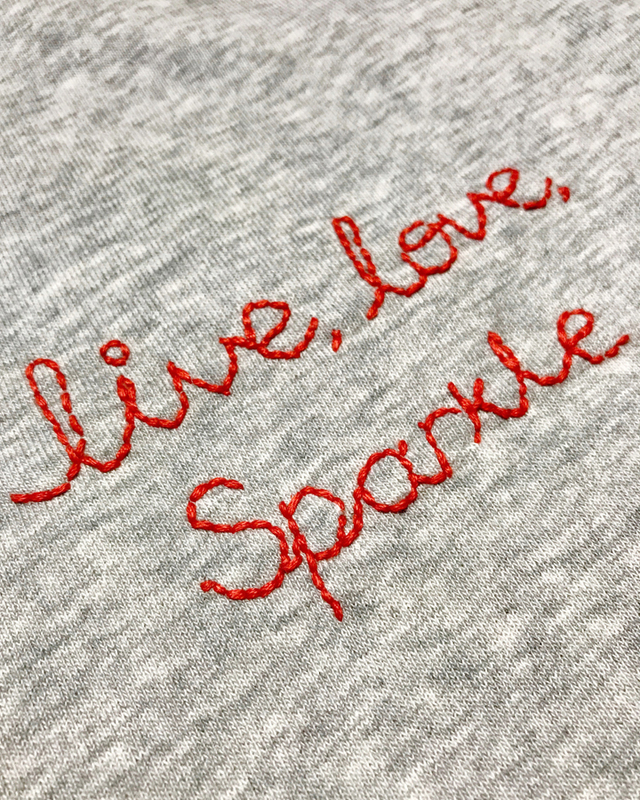 Please note: As every bespoke sweatshirt is hand embroidered to order, these personalised items are non-refundable. Please allow 5-10 working days for your order to be dispatched. If your order is urgent, please advise us and we will try our best to expedite.